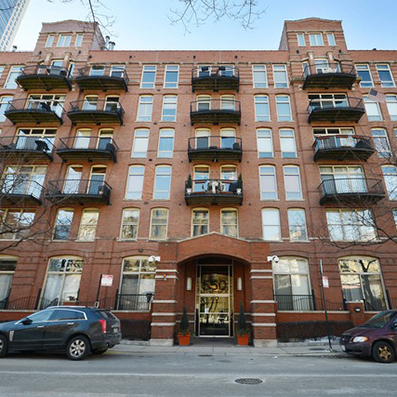 Whether you are looking for an apartment, loft, condo, or house in the Windy City, we have the resources and client service experience to make this significant purchase both simple and satisfying—as our many contented clients will tell you! I love how responsive Megan is to my inquiries. She follows through on all details and you can count on her to do as promised. I would not work with anyone else!!! The best freaking agent we could have had! So helpful, patient, attentive and super informative! Would recommend her to everyone buying a house!! Megan was a great partner in the home buying process. She responded to correspondence quickly, and was able to answer any questions we threw her way. She was available to show us homes at times that were convenient for us, and we always felt like she was really rooting for us to find the perfect place for our needs. Our experience with DreamTown, and Megan in particular was fantastic, and we would recommend her to anyone. It was such a pleasure to work with Karen! She made the entire home buying purchase easy and fun. We loved getting to know her and hope to stay in touch in the future. I will definitely refer her to my friends and family in the future. Working with Karen was seamless and easy. There was never any lag in communication, and Karen was not helpful during the time of acquiring new property, but also after the fact. She was quick to provide referral contacts for legal representation, moving companies, electricians, to GC's long after I closed/moved in. 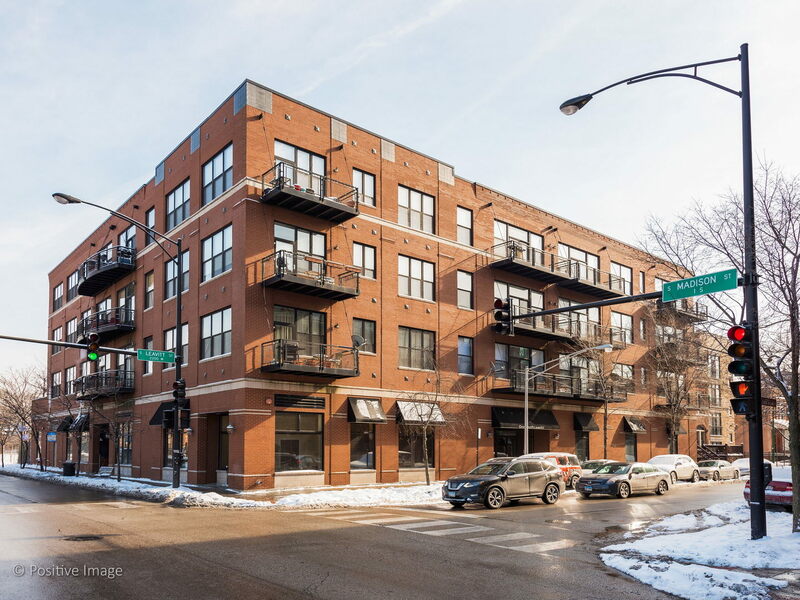 This was hugely helpful for someone who is a first time buyer in Chicago and has limit contacts of the sort. Really appreciated all of the follow up in making the process of buying and moving into a new home as painless as possible. Karen was an absolute pleasure to work with and made the home buying experience an incredibly smooth process! Thank you, Karen! 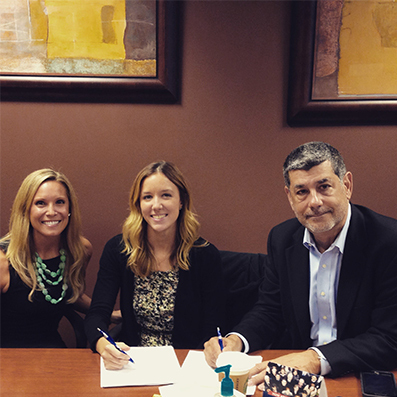 Laura and her team were both thorough and available throughout the process to sell our home. The clear line of communication truly aided in the quick sale! Megan was very informative and knowledgeable regarding the selling process which helped make the sale go smoothly. She was very professional and always responded quickly when we had questions or needed additional information. We will definitely contact Megan for any future real estate needs. You were a phenomenal agent; I felt you were more like a friend. You ere patient and supportive at a stressful time for me. I would never consider any other agent in the future and will continue to recommend you to my friends. Thank you so much for helping me find my new home! Megan helped me with selling and buying my home last year. Not only was she a pleasure to work with, Megan was professional, organized, knowledgeable and kept me well informed during the process. I highly recommend her! Megan is the absolute best person to have worked with to help us find our new home! She is very reliable, always available, very professional, and also a great advocate for her clients. I definitely would recommend Megan to anyone looking to buy or sell their home. Megan was a very polite and professional realtor and was able to answer all questions we had about the process. We appreciate all the recommendations she had for other services like for inspections and an attorney. We will definitely be in contact when it comes time to sell our other property. Alison way so kind and went out of her way to find us a great property! Laura was very responsive to my needs. Only one thought for improvement I have is that I was hoping she would have been able to push the process along a bit more since I was under a deadline. That might have been my misperception. Laura and Karen are an incredible dream team! Both have a wealth of knowledge and very much know their way around the world of real estate, but also genuinely care about their clients. Karen helped my wife and I find our new home after a long year of looking for the perfect place. Karen was patient and in incredible sounding board when we were ready to make an offer. Karen is simply the best. Friendly, knowledgeable, did the right level of negotiation without being rude or pushy, and helped us get a great deal on the house we loved. She was phenomenal in her knowledge and professionalism and will also be a great friend to use moving forward! Was our first home purchase and we couldn't have done it without her. Wouldn't hesitate a moment to recommend her to anyone. Laura was fantastic! I found her via Zillow, randomly, and she exceeded all expectations. She went out of her way several times, including finding me temporary renters for the house I purchased! I could not be more pleased with her professionalism and effectiveness throughout the negotiating and closing process! Lindsay helped us sell our townhouse when we decided we needed more space for our growing family. Lindsay was very hands on, and walked us through every step of the process. After listing our home, she secured us an offer within three days! Lindsay also helped us purchase our new home. She knew exactly what we were looking for, and was always available to answer our questions. We are so glad we chose to work with Lindsay, and we would recommend her to anyone looking to buy or sell! 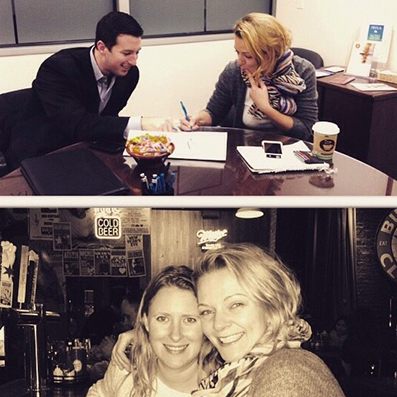 I cannot express enough how grateful I am for Lindsay's help throughout my home buying process! As a first time home buyer, she guided me through the process smoothly, answering all my questions (at all times of the day) quickly and never made me feel like I was bothersome to her. She helped me secure the perfect condo through a fast and tricky close. I highly recommend Lindsay to my family and friends and look forward to working with her whenever it's time for my next home! 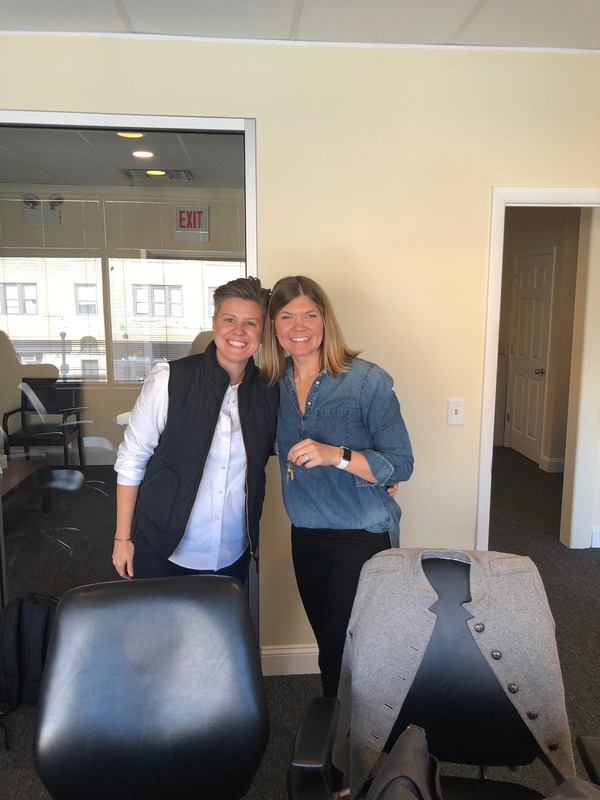 From our first meeting in our neighborhood coffee shop to the day we closed on our home, Lindsay provided consistent and clear direction, answering every single one of our questions about the process of looking for a home, how to work through financing, and finalizing all the steps necessary for closing. Lindsay took the time to get to know us personally and took our wants and needs into consideration. 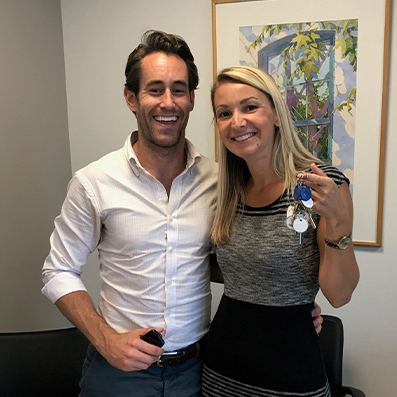 She gave honest feedback about properties and ensured that we had the information we needed to make an incredibly important life decision. We absolutely recommend working with Lindsay and her team! After 2 years of searching for our perfect home, we started to feel that something would never come our way. Then we met Lindsay. She worked tirelessly to send us options and take us on showings that not only fit our "wish list," but also showed us alternative options that we wouldn't have thought of. One day she sent us this house and said, "You have to see it! It's perfect!" The next morning, she got is in for a showing and by 2pm we were under contract. Lindsay and her team helped us navigate a typically stressful and confusing time with ease. 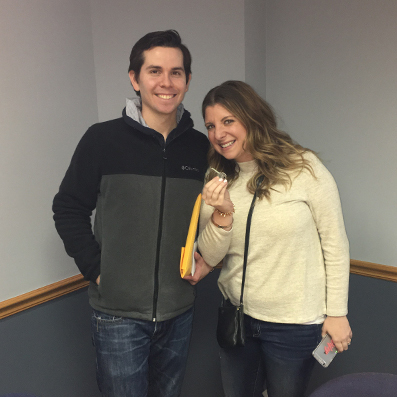 It was truly an enjoyable experience being a first-time home buyer with Lindsay, which I know is not typical for many first-time buyers. She is incredible and we've even recommended her to many of our friends who she helped find their dream home. Karen showed great enthusiasm and emotion throughout the process in spite of a number of external obstacles that we had to work against. I can tell she cared very much that we would get the outcome we desired, and worked hard towards that end. She was easy to work with and receptive to doing things outside her normal responsibilities, such as waiting for a new appliance delivery at the unit. I would gladly work with her again. Alison is a consummate professional with an absolute personal touch. As her clients, she treated us as if she was helping her own family. And that's what I think sets her apart from the rest in the business. You just don't get that personal touch anymore. But with Alison, you do. Not only would we recommend Alison, I'd say she's a necessity. You'd be foolish not to use Alison Van Bergen as your Realtor. Karen has worked with my family to purchase our first home. She is not only super knowledgeable about the local market, but also helped us guide through each step of the buying process. As a first time homeowner, we feel way less stressed when she is standing behind us supporting each step of the buying process from searching properties to closing. Our family are very picky so it took a bit longer time for us to close. However, Karen during the process has provided tremendous guidance to help us navigate through everything. Our family is very appreciative of her service we would like certainly like to work with her again. We would also recommend any first-time home purchases to work with her in the future. Karen was the absolute best to work with. Super helpful, tremendous communication, and an overall phenomenal experience. Made the process smooth and simple! Would recommend to anyone! Karen is an absolute pro and we couldn't have asked for a better guide to help us purchase our first home. She has a wealth of market knowledge, is extremely responsive, and is focused solely on understanding her clients' intentions. Not only did she help us find our dream home, but she coached us through the entire process and kept us balanced as we stressed over this large purchase. 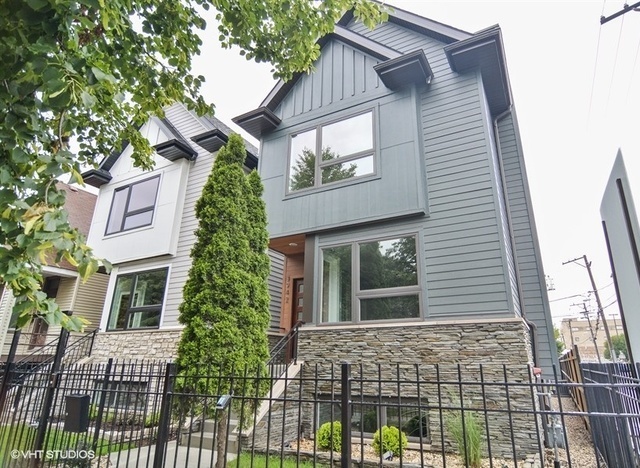 We absolutely would recommend her to anyone looking to buy or sell in Chicago. We couldn't have asked for a better experience with Karen. Throughout the process she made herself accessible day and night to answer our questions so that we felt comfortable with the decisions we were making and understood all of our options. As first time home buyers, this was really important to us. Not only did she answer our questions, but she proactively reached out with helpful information and things for us to consider. Even after we closed and moved in, Karen has continued to keep in touch to make sure we're enjoying the new place and act as a resource for any additional questions we have. 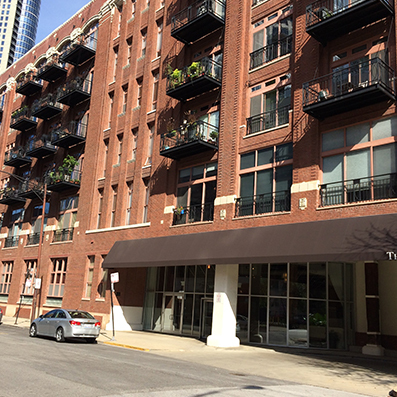 If you're looking for a place in Chicago, we highly recommend working with Karen! My wife and I bought our first house (townhouse) in February of this year. We had rented up to that point and didn't know what to expect on the buying side. Karen made this process as easy as possible for us. She was available to answer any questions throughout the whole day. She responded immediately, and if she didn't have an answer right away, she let us know and communicated that she would search for that answer. My wife and I always knew where we were at during the process because of Karen's great communication skills. She would also break it down into layman's terms so it made sense. She deftly negotiated when there were multiple buyers in the first 48 hours, so our bid was taken. And then she did it all over again when the appraisal was lower than we expected. I honestly believe that had we used someone else, we would not have gotten our first dream house! I cannot speak highly enough of her skills, understanding, professionalism, and overall quality of our experience. I am so happy that I found Angela to be my realtor. She was amazing. I was nervous about buying a home and Angela was patient, professional, thorough, and very supportive. She made sure I knew what was happening throughout the process and she was very detailed while working with the selling realtor. I truly felt like I had a good friend on my side. If I ever buy or sell again I would absolutely use Angela's service. I have already recommended her to anyone I know looking to buy or sell. She really is a joy to work with. Angela is a dedicated and knowledgeable real estate professional who is always available to answer any questions or concerns a client may have. She is professional, personable and dedicated, offering her expertise and experience to her clients. She is an effective communicator and great negotiator. She also projects a warm, cheerful attitude towards clients. She loves people, works hard, and always tries to lift the spirits of those around her. I believe these characteristics represent all that is good in a person as well as in a company. I would highly recommend her. I have had the opportunity to work with Angela on several properties and found her professionalism and expertise nothing short of outstanding. Her attention to detail and analysis of market conditions was spot on each time. I would recommend her services to anyone without reservation. Angela caught my attention quickly. She didn't display the aggressive salesmanship attitude we unfortunately find, too often, in todays environment. We felt relaxed with Angela, so we allowed her to do all the work and work she did. Her research attitude and her honesty were quite extraordinary and highly professional. Having owned a real estate brokerage firm in my younger years, I don't consider myself impressed very easily. Angela is on the right track by displaying confidence, professionalism, and a, protect the buyer attitude, which is certainly beyond the norm. Angela helped guide us thru this purchase in a professional and expedient manner. She was always on top of any documents needed and caught an error by the title company on the closing docs which I didn't see. On my next investment purchase, I will be going to Angela as she clearly has my best interests first. Thanks! Angela was always professional and kept the process moving. She was very proactive in her approach. She really went WAY above and beyond to help me find the perfect home! She communicated everything with me and made sure all of the documents needed were completed quickly and efficiently. Buying and selling a home is both exciting and extremely stressful all at the same time. Angela was excellent in dealing w/ all the highs and lows you experience in the process. She went above and beyond to satisfy us. She made sure all questions were answered and did countless research to be sure she was representing us to the fullest. If you are looking for a patient, honest, and reliable realtor she is an excellent choice to represent you. We would highly recommend her. You'd be crazy not to have Angela on your side! She is a real professional, knows her business and we felt totally comfortable with her strategy and recommendations to meet our goals. She excelled in every way! And it was even more amazing that she accomplished this with our being 2500 miles away!
. Karen is the most knowledgeable, patient, and driven agent I have ever worked with. I interviewed many agents before listing my property for sale and nobody compared to Karen's energy, knowledge of market activity, and communication. I knew Karen was the agent I wanted to work with when I asked to see her schedule for next week; and it was filled with showings which she was going to do herself. I knew I was hiring a hard working agent; not just another name on a sign. Karen made the selling process very enjoyable and I would absolutely hire her again. 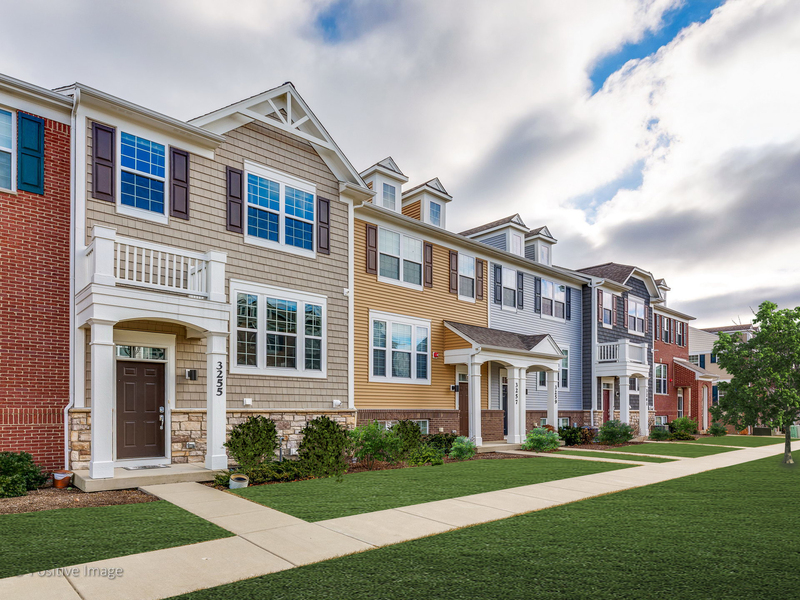 I met Karen Schwartz during my purchase of a Pulte Corporation Villa at the Regency at the Glen development in Glenview Il. As the Pulte representative she was very professional, thoughtful and helpful in the purchase process of my new home. Karen has 10 years experience in the Chicago land real estate market. 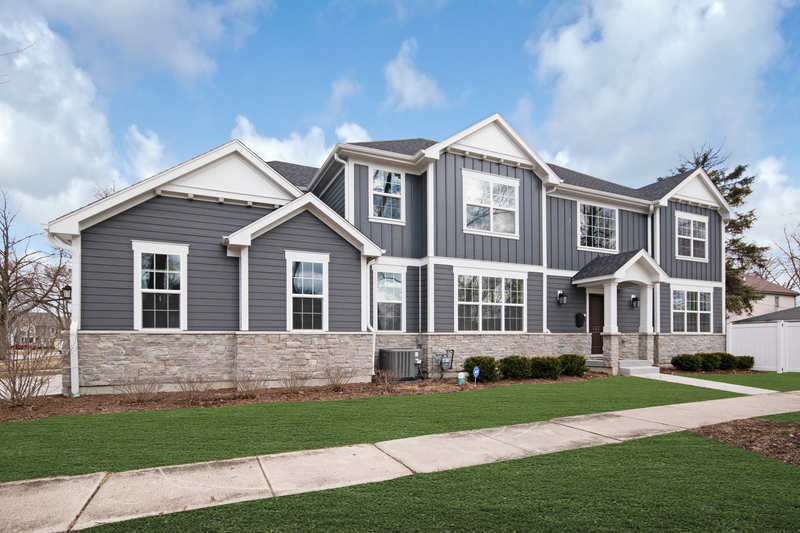 her time with the Pulte organization brought her extensive knowledge of all areas of the city and suburbs. Karen will be to those who use her Company to find homes on both buy and sell side real estate market. Karen can use me as a reference any time. I have used Karen and LMKS Group for a wide range of services, from rental properties to the most recent sale and purchase of two condos. Karen is a true professional. She has an in-depth knowledge of the Chicago real estate and rental market, and she guided me through the process every step of the way. She takes her time to cover all bases and details, and I would highly recommend her to others. 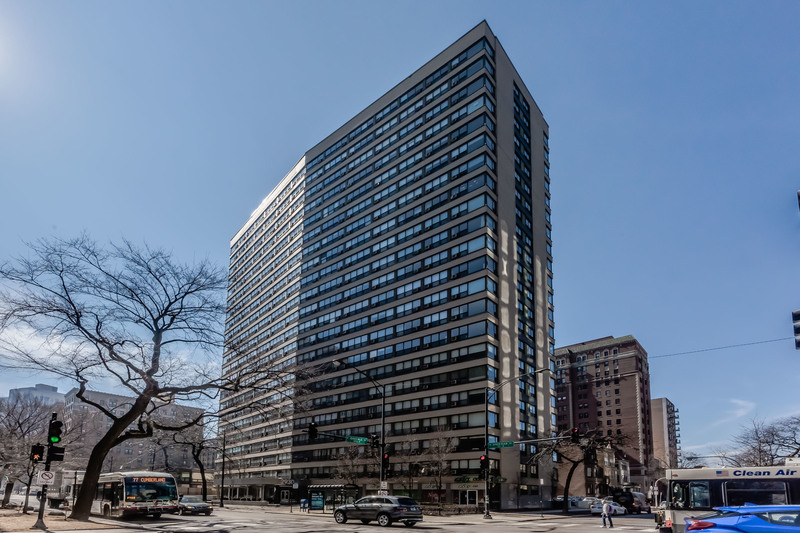 Most recently, she managed every detail of a very complicated process involving both the buy and sale of two condos upon my move back to Chicago. She anticipated every step, and the entire process felt simple when I know first-hand that was anything but easy. I will be using her services when I sell my condo and all other Chicago related real estate needs. After going out once with a real estate agent, my wife and I believed that our hope to move to the suburbs looked bleak. 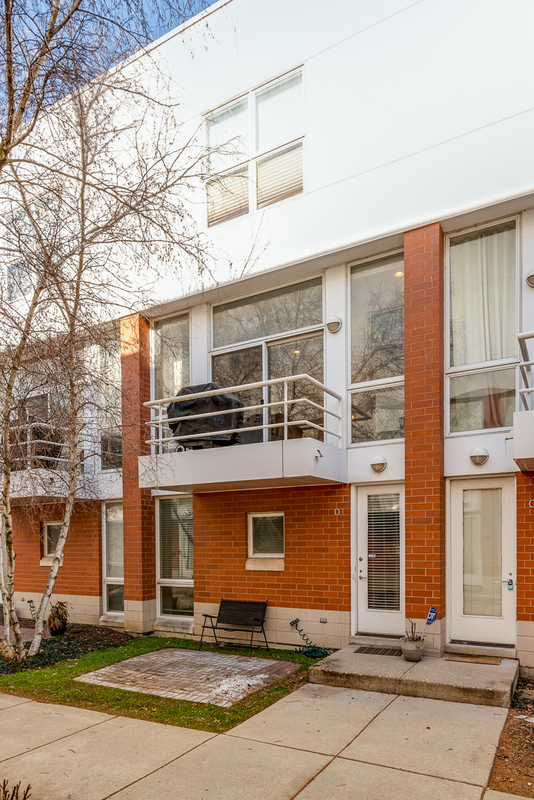 Our first child was two months old and we wanted to move in to a great community and give our child some room to maneuver as we were in a two bedroom condo in the city. 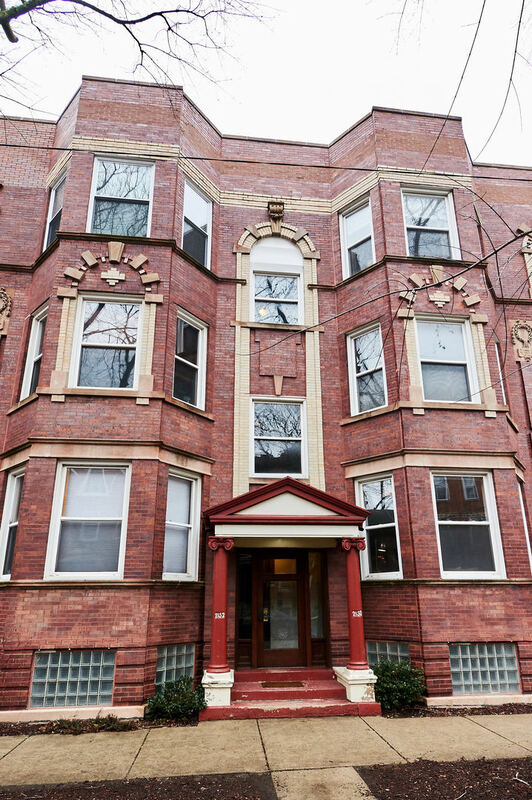 In early January I found a row home that looked promising. My wife, son, parents and real estate agent made an appointment to see it and that is when we met Karen Schwartz. Karen instantly made us feel at home, at ease and answered any and all questions that we had. After three separate visits to the Regency at The Glen we decided to purchase a home there. In all honesty if it weren't for Karen, we probably wouldn't have made the purchase. Karen walked us through every step of the process, from upgrades to financials to even being instrumental in the interior decor of our entire home. My son is now a year old and every day I get home from work, he is waiting by the stairs, I peak my head around the corner, he smiles at me, my dog is wagging her tail and my wife is waiting to say hello in our home. I feel blessed every day to live in an wonderful community, in a brand new home, with my amazing family...and in all honesty, I am not sure that would have happened if it weren't for Karen's support, knowledge and customer service throughout my purchasing experience. Just give these two young women a call and experience their professional manner and friendly attitude. Actually, they are fun and get excited about finding just what you are looking for. They want tons of details so they find the right placement. It is hard work to find just the right place. They keep going until you do! One of my many requests was to have large windows that face at least three directions. I need a lot of light. This, with so many other factors, makes the work constant and tedious. They hang in there. My husband and I were a bit sad when we completed all transactions after purchasing our home. We would miss their energy and accomplished personalities. No worries. We meet up for lunch and have become friends. What luck to have found such highly skilled professionals. Karen and Laura went above and beyond to find the right home for us. They were always on top of every detail and they always had an answer to our questions on the spot 24-7. It was our first experience buying property so we were a constant source of questions and doubts. Yet we always got a detailed and committed response within a few minutes. To facilitate things even further we got referred to a whole network of highly responsive professionals (from the mortgage lending company to the real estate attorney, etc). I highly recommend LMKS Group. Regardless of your profile or budget, they will find something for you and they will help you manage the process by directing you to the right people every step of the way. They exceeded my expectations. I came to the US 4 years ago from Germany. It had always been my biggest dream to live in Chicago and my company offered me a position in the Chicago market! So I sold everything and moved here with 2 suitcases in February of 2011. I bought my first condo in February of 2014 and was the proudest first home owner in the world. Then I came across a book about investing in real estate. ..I had never in my life even thought about this option, but it felt like a great opportunity to invest in my future. This is how I met Karen Schwartz. She had long years of experience as a realtor and had just started her own business. From the first conversation on I felt that she knew the business extremely well. I had told her that I just wanted to start looking what is out there and could not make a promise that I would actually go ahead and buy an investment property. I really liked that she never felt like a sales person, but was genuinely interested to cater to what I was looking for. I'm so impressed and happy with the way she works: all questions are answered immediately, she is extremely on top of every bit of information I asked for from the seller. At some point I joked that I got replies to my emails before I had lifted my finger from the "send" button. She showed me a couple of places and we found a great unit really fast. Even after my offer was accepted by the seller, Karen's support or pace of work didn't slow down. Parking space? Home warranty? Attorney? Home inspector? I didn't do a thing! All was taken care of in what felt like minutes. And the best communication during the process, which is very important to me as a German. Now Karen is working on getting my place rented out and I am convinced she is going to find the best tenant. I can not stretch enough, how much I appreciate Karen's professional, fast, exact and personable way of working. I have recommended her to everyone looking to buy, sell or rent, that I have run into. Even my boss! If you are looking for a phenomenal realtor... go for Karen and LMKS Group! 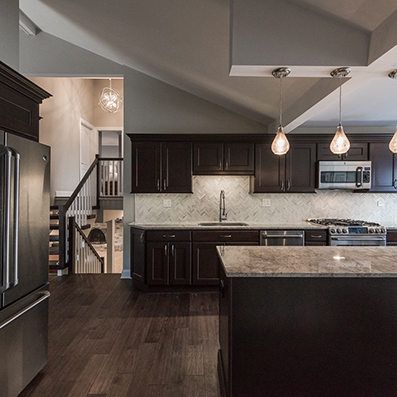 Choosing a realtor was initially challenging for us as we had several fabulous options. We ultimately chose Karen because she was incredibly supportive, sensitive to our needs, and trustworthy. It is hard to work with friends/brokers and discuss dollars and cents. Karen was certainly sensitive to this fact, and was incredibly discreet and professional the whole way through.? ?Karen's knowledge of the market, trends, and new construction was also key for us. Each and every vendor she recommended from mortgage broker to inspector, were top notch. We truly appreciated her honesty, patience, and professionalism as we made our way through the sale of our first condo, and the purchase of a much larger home.? ?Another HUGE strength of Karen's is her incredibly timely and concise response to email. During the process she did not let any time pass between a request, and an action to get it answered. The sales process can be stressful and confusing. Karen was always patient and respectful of our questions and concerns. She made us feel comfortable, content, and informed throughout the whole process.? ?Both my husband and I HIGHLY recommend Karen and LMKS Group! Karen did an amazing job as our realtor! She made the entire process from start to finish extremely smooth, easy, and exciting. Karen was always on point with her communication. If we had any questions throughout any step of purchasing our condo, Karen got us the information we needed right away. Her business savvy and her ease in working with others was apparent from the beginning. While we certainly weren't her only clients, she made us feel as if our purchase was her top priority. Thank you for helping us purchase our first place! Karen Schwartz handled every element of my sale like a seasoned pro. I was a bit unsure about selling my condo so early in the &quot;season,&quot; but Karen's savvy marketing prowess and skill during showings helped secure a contract in just over a week! I highly recommend her and her team at LMKS Group! Nothing short of an exceptional professional transaction. I worked with Karen Schwartz and was at ease from the start. Karen was gracious and upbeat backed by knowledge, dedication and fantastic follow through and communication. This wasn't my first rodeo (my fourteenth real estate transaction), the sale had a number of challenges which were handled exceptionally well. I have actually never had such a pleasant experience in a real estate transaction. I was referred to her by a friend who develops real estate and uses her exclusively. Now I know why. Bottom line, she got me the best price and closed the deal. I WOULD RECOMMEND KAREN IN A HEARTBEAT! Laura & Karen are extremely knowledgeable in their field. They can answer any questions you may have whether it is pertaining to buying a home, local area, etc. They are very quick to respond when you contact them which was a huge benefit for me as a first time buyer. I would definitely recommend them to anyone looking for a home & will certainly use them in the future. 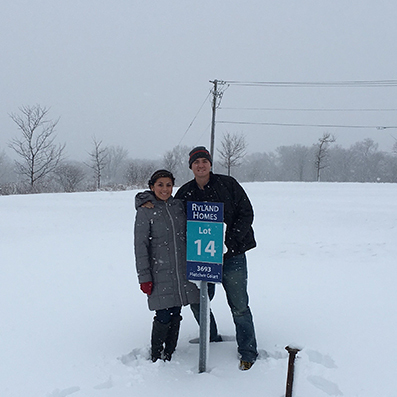 We used Karen as our realtor to sell our new-build townhome in the Glen of Glenview in Summer 2015. 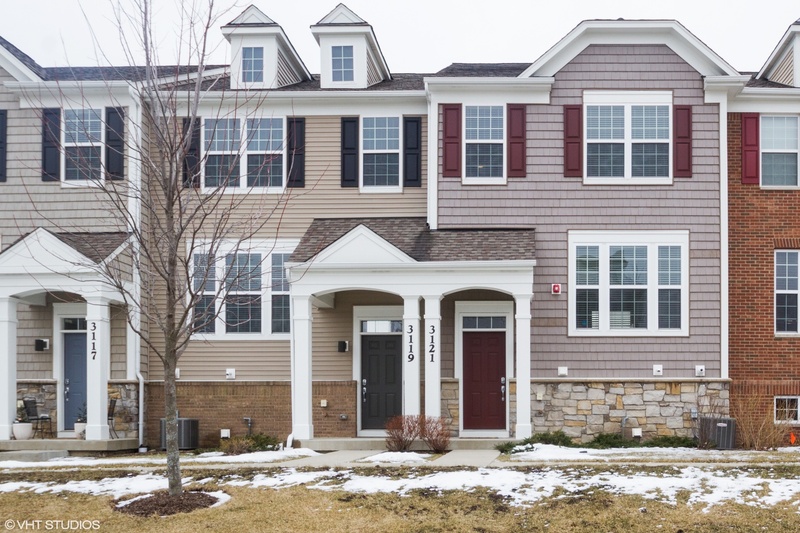 When Karen previously worked for Pulte Homes, she was the seller's agent, and due to her expertise and quality communication on that end, we sought her out as our agent to sell our townhome when we decided to move across the country from Chicago. Karen stuck through with us through many, many showings - - and helped us be able to get out of our townhome with a slight gain despite our short time living there. She also stayed in close contact during a closing with a couple of hiccups from the buyer, and we found her to be much more resourceful and responsive even than our real estate attorney. She followed through right through the end and even sent us a nice parting gift once we'd moved to California. I would fully recommend Karen to anyone looking in the Chicago and North Shore area, especially young couples and families looking to move into new properties in and near the city. Karen did an excellent job representing us in connection with our recent home sale. She was always very attentive to us and very responsive to our questions and concerns. 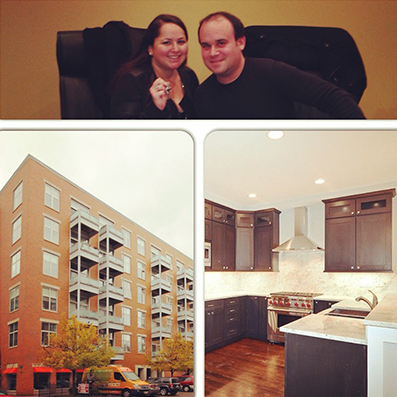 I enjoyed working with Karen to purchase my condo in South Loop. She knew the area and was knowledgeable of the process. She took care of all the issues and concerns I had. She followed up after closing to make sure all the issues have been resolved. LMKS Group more than exceeded our expectations. They made selling our home in a difficult season simple and quick. Karen, especially, provided us with a level of understanding and receptiveness that is unmatched within the industry. I would highly recommend LMKS Group to anyone looking to buy or sell. It was an absolute pleasure working with Karen! I am a first time homebuyer, and had a million questions, concerns and doubts - all which Karen helped to eliminate! I originally chose to work with Karen off of a referral suggestion - and I am so happy I did! 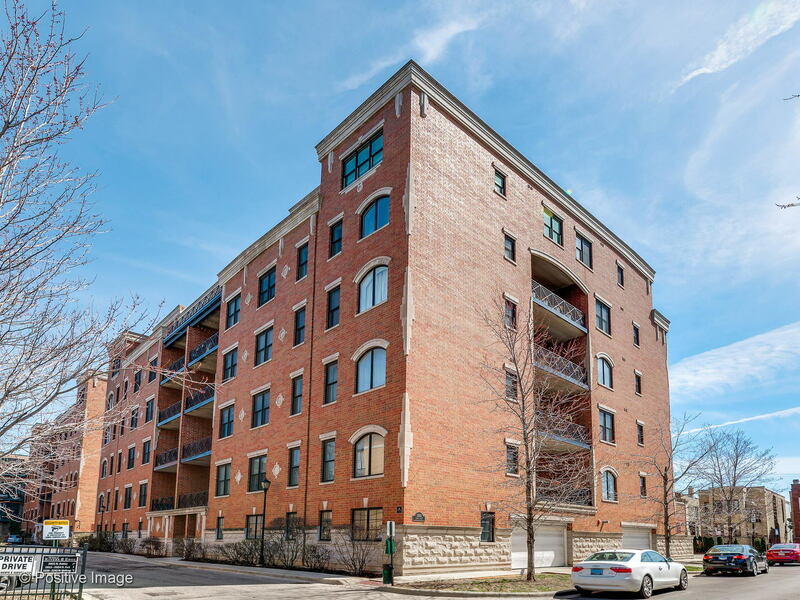 Her knowledge of the neighborhoods and buildings was impressive and once I chose my condo, her suggestions on vendors to work with to finalize the sale was both extensive and beyond helpful! Everyone she suggested I worked with, from the mortgage company to the attorney, were all such a pleasure and extremely easy to work with. To say I am beyond happy with my condo decision is an understatement, and I owe a lot of that to Karen! I would recommend her to anyone! Working with Karen was a dream come true. I've worked with 2 other realtors over the years and none have exhibited the professionalism and finesse that Karen did. Karen helped my husband and I sell our first home together and buy our second under a very tight timeframe. I couldn't imagine going through the process without her. She was extremely patient in answering our constant questions and always followed up while keeping us informed of every single step along the way. Karen was always reachable and there to talk us through every worry and problem at any time. Her knowledge of the industry is undeniable and we always trusted that everything would go smoothly and efficiently - as it did. It is obvious that Karen truly loves what she does and it shows to anyone who is lucky enough to work with her! We adored working with Karen! She was very knowledgeable and provided us the options we were looking for. She worked very hard and negotiated our deal well until the end. I would absolutely use her again in a heartbeat. Karen Schwartz helped my wife and I in the purchase of our new home! We were first time home buyers, and she laid out all of the expectation early and often. Any question we asked, she had a quick response. If she didn't know the answer, she was prompt in responding back after finding out. We had some difficulties in the buying process due to multiple offers and an appraisal offer that wasn't exactly what we were hoping to receive. However, as each of these situations arose, Karen handled them skillfully and worked around them. This appeared to be easy, as her response time for both these issues was as close to immediate as you can get. At closing, she took us out to lunch and had a few gifts that really added a personal touch. I can't recommend her services enough. I felt comfortable throughout each step of the process. If you're looking for someone to take care of during a stressful time, Karen Schwartz is the person you want to see for your next home purchase or sale. Karen was brilliant from the very beginning. She helped us during the entire process to make life as easiest as possible for us. 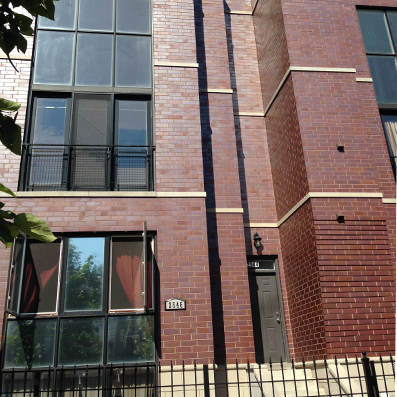 I would recommend Karen for anyone looking to sell in Chicago. We were extremely happy with how everything worked out so smoothly. "We were introduced to Lindsay by our mortgage broker. She was friendly, kind, knowledgeable and was available for any questions we might had (believe me, we had so many!). We were first time buyers so we were clueless about the whole process. She explained to us every step that was going to take place and what things needed to be done in order to succeed in finding the perfect house for us. After just two weeks of search we found the perfect house with a beautiful yard where our little daughter could play to her heart's content! Lindsay moved very fast to make sure we secured it and that same day we had our offer accepted. But that was just the beginning, there was a lot of things to do until we closed the deal. She guided and supported us every step of the way. She was there for us throughout the whole process until we got the keys. We really enjoyed working with her and highly recommend her! We will contact her for sure next time we buy a house. 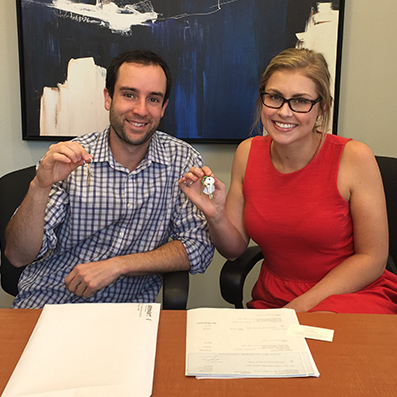 Thanks Lindsay once more for helping us finding a place we can call home!" "My family and I recently had the pleasure of working with Lindsay Olson Del Preto. 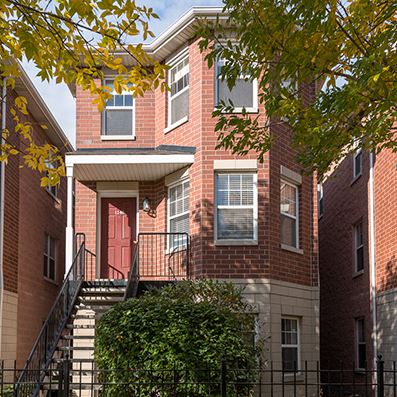 We were first-time home buyers and had no idea where to begin, but thankfully Lindsay helped us narrow our search with her extensive knowledge of Chicagoland. During our house hunt, we never felt rushed to make a decision, Lindsay was patient, helpful, and would offer her honest opinion on homes we saw. Once we found our dream home, a bid had already been put in for it. 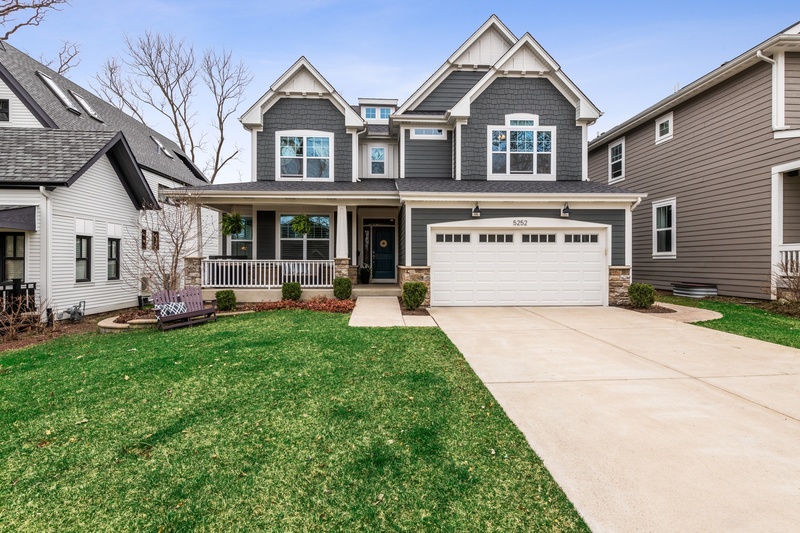 Lindsay walked us through every step of her negotiations and because of her expertise we were able to win out over others who had put in offers on the home. Lindsay was always more focused on answering our questions, giving us good advice, and finding more homes to view than on closing a deal. I would recommend Lindsay to anyone embarking on this crazy real estate journey, she will navigate it flawlessly for you!" Lindsay did a great job with giving us a lot of options to see during our limited time for apartment hunting. She was great with working around our schedule, including some last minute viewings. Her knowledge of the Chicago neighborhoods was very helpful in our decisions as well. My wife and I would definitely recommend her to our friends looking for places in the city. We cannot say enough about our amazing experience working with Lindsay as our realtor for the buy of our dream home and sale of our first home. Throughout the process, Lindsay was able to guide us and give us the advice we needed through our purchase as well as market/sell our home in less than 4 days. Her professionalism and the energy she exudes in her work is contagious. She loves what she does, and truly wants to help each and every client. 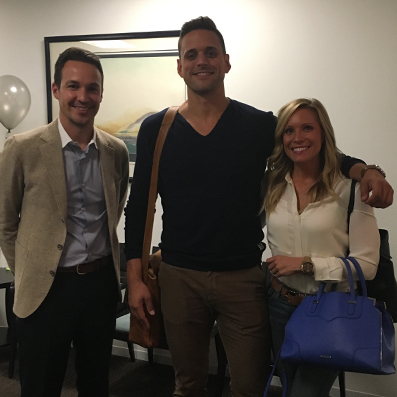 I recently worked with Lindsay Del Preto at Dreamtown to sell a property of mine. The overall experience was top notch. Lindsay was very thoughtful from the beginning. She had an overall plan on how to properly market, list and show the property. She was very hard working throughout the process and made sure every detail was accounted for. Finally, I found her to be very responsive during the entire process. I could always get a hold of her and she was keeping me up to date on any developments. I would definitely use Lindsay again. I just completed my first property sale and I'm amazed at how much easier it was than I expected and was told by friends and family. 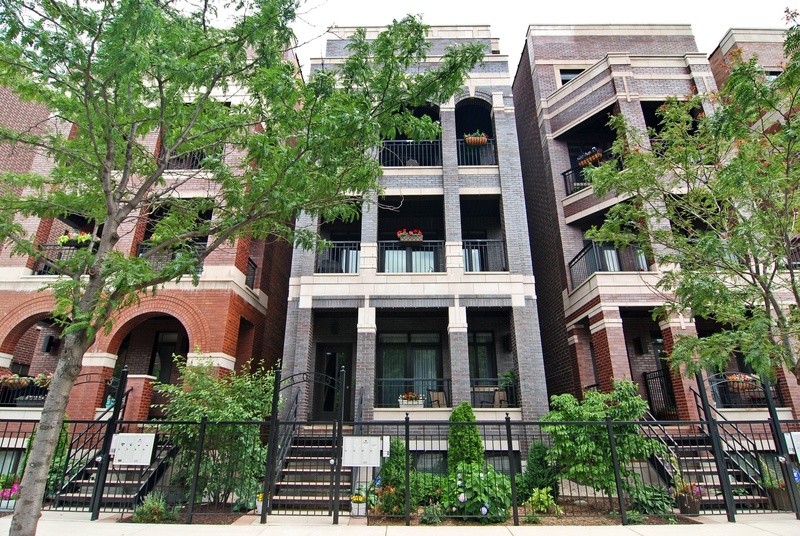 I've heard some horror stories and being new to selling a condo was dreading the headaches and process. However, that never happened. I interviewed several agents and knew immediately after talking with Lindsay that she could get the job done. She was great with communication and very quick to respond to all my questions. We ended up selling for just over the list price and had a buyer lined up within a week. Considering my family and friends had bad experiences working with other agents I'm making sure they all know about Lindsay and will be sure to refer her to anyone I know! From start to finish Lindsay was always willing to offer her assistance and had expert knowledge of the industry. Lindsay was professional in every area of her job and made it obvious that she wanted to help you in any way she could. Her ability to effectively communicate with her clients via email, on the phone, or in person makes her an asset to any team she is a part of. Lindsay is extremely personable and is the easiest to work with. She's always looking for the best fit and personalizes the search to match what her clients are looking for. She was very honest about each property and there were no surprises during the process. Lindsay knows the in's and out's of the real estate industry and understands what each area has to offer. Lindsay does her homework and shows up prepared for each visit with her clients. If you're looking for a realtor that is experienced, knowledgeable, personable and client focused then you have found her! I worked with Lindsay a little over a year ago. My lease was up and I was having no luck finding a decent apartment for a reasonable price so I decided to look at the possibility of buying a place instead, but I was by no means certain. Lindsay told me not to worry about that and if I didn't find the right condo she would help me find a great apartment. She set up a list of places I was interested in to all view in a single day. Third time was the charm. Being a first-time home buyer I had a whirlwind of questions to ask her, but nothing was too small and she always responded in a timely and friendly demeanor. Due to a restrictive work schedule I wasn't able to be present for the final home inspection so Lindsay went there for me in my stead. I couldn't have asked for a better experience and now, a year later, am still loving my home. While I don't have any current plans to move again, if I did I wouldn't hesitate to give Lindsay a call!